When I stop by my favorite independent bookstore, Next Page Books, I love perusing their children’s books. This one got my attention because I love nature books for kids. As I began flipping through the pages, I knew I was going to love it by the first page. 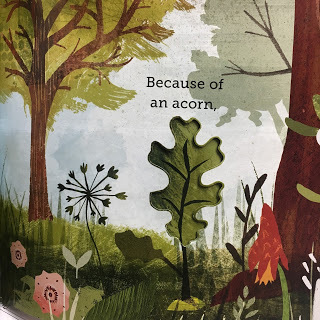 Through simple words and gorgeous illustrations, children are shown the life-cycle of an acorn and how it affects the environment that it lives in. From the acorn to the tree to the seed to the bird to the flower to the fruit to the forest, and everything in between, all of the living things in the forest depend on each other. The illustrations are just gorgeous with almost a three-dimensional feel to them. Children will love looking at the various things on the pages and learning the cycle of life in the forest. 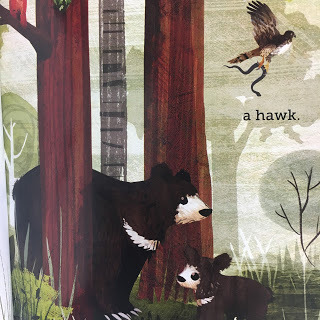 A few of the pages have these gorgeous die-cut images that take kids from one page to the next. Even the youngest children can learn the importance of taking care of our environment and how each piece is important to the other. 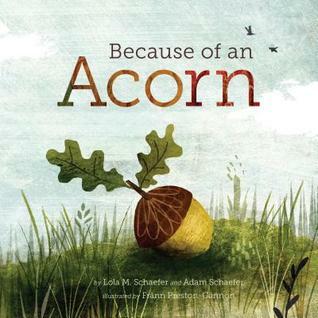 I can’t wait to send this book off to my little great niece who I know will love reading this sweet story of an acorn. This book is a wonderful celebration of fall for young readers. 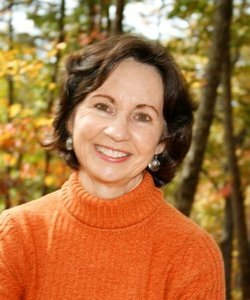 Lola M. Schaefer is the author of many children’s books and the winner of a Charlotte Zolotow Honor and the Children’s Choice Book Award. She lives with her husband in the mountains of northern Georgia. To see her many awarding-winning books, click HERE. Check out her website, HERE. 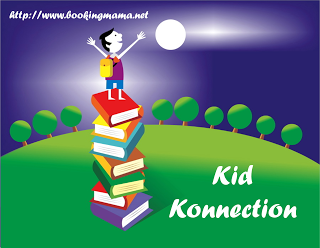 I’ll be linking up this review with Booking Mama and other bloggers on her Saturday feature, Kid Konnection. Click HERE to see posts related to children’s and YA books. If you choose to purchase the book through the above link, I may receive a small commission without you paying a cent more for your purchase. Thanks for supporting SincerelyStacie.com. It looks lovely! I think I might have a review copy somewhere. I'll have to check it out. Thanks for sharing!